Melodie has been working in the fundraising and event management field for over 15 years. After graduating from Iowa State University with a journalism degree, she started out as a finance assistant on an Iowa state Senate race and went from there to a union campaign in Chicago, a mayoral race in Minneapolis, a Congressional race in San Diego and ended up a Finance Director on a Senate race in Rhode Island in 2006. After a win there, she moved to Washington, DC and worked for 4 years as a development associate for the American Constitution Society. She began at ELI in 2011 as a Development Associate and was promoted to Senior Development and Special Events Manager the following year. 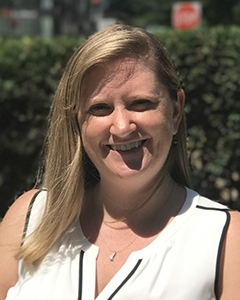 Since 2016 she has served as the Development Director.